Ram Navami 2019: Ram Navami is celebrated with a lot of enthusiasm in India. 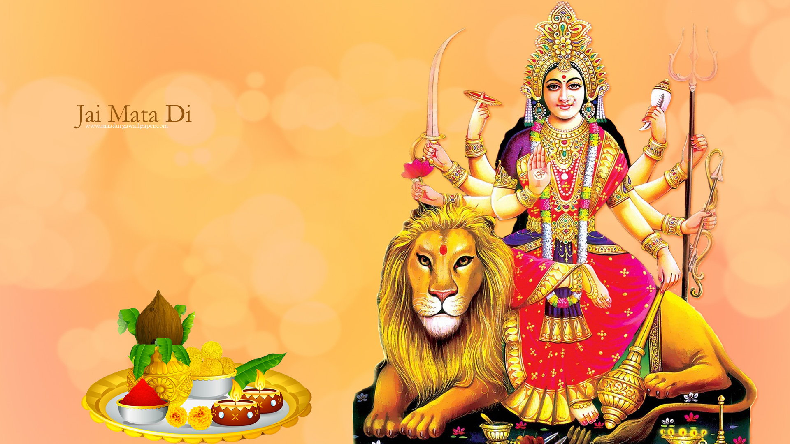 On this day, people wake up early to take bath and offer prayers to Goddess Durga. People also offer flowers, holy water and other pious things to the Goddess. Ram Navami 2019: After the celebration of Navratri, the festival of Ram Navami 2019 has arrived. Ram Navami 2019 is the birth anniversary of Lord Rama, who was the seventh incarnation of God Vishnu according to the Hindu holy books. The festival falls on the last day of Navratri, which is the ninth day of Chaitra Month as per the Indian (Hindu) calendar. On this day, people worship Lord Rama and Goddess Durga, followed by ‘Kanjak puja’ (Worship of girls). The pundits have said that this year Ram Navmi will be celebrated for 2 days i.e. April 13 and 14, 2019. The auspicious time or the Puja Muhurat will begin after 8:15 pm on April 13 and April 14 till 6:04 pm. The day is dedicated to the worship of Goddess Mahagauri, people celebrate this day with full zest by waking up early, bathing and praying to the deity and offering her the bhog prepared in the homes of the people. In many states of India, people also organise a special Kanya pooja or Kanak Pooja in which they worship girls by inviting nine or seven girls to their homes and wash their feet with water. The hosts put red threads around the wrist of the girls before serving them a mouth-watering blog which consists of fluffy pooris, Kala Chana, halwa and coconut. Gifts like pencil box, fancy plates and hair clips are also distributed among the girls who are more of a kid and are cute too. The girls are seen as a replica of Goddess Durga in her feminine form. Some families perform the ritual of Kanya Pooja on Navami too.